HomeLet's Talk‘Zootopia’ Directors Talk Animals, Animation and Wreck-It-Ralph! 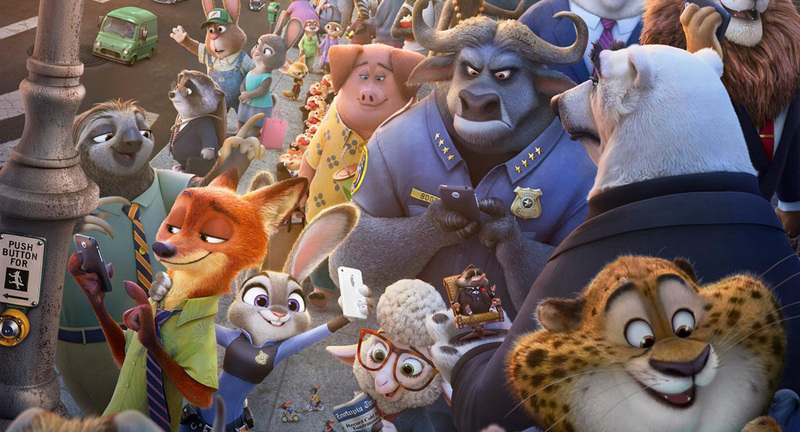 ‘Zootopia’ Directors Talk Animals, Animation and Wreck-It-Ralph! Byron Howard and Rich Moore recently took some time to chat with BL about the Disney animation process, Han Solo and whether or not we’ll ever see more from Wreck-It Ralph. What can you tell us about Zootopia? B.H. : Zootopia is a huge action comedy that takes place in an all-animal world where humans never existed. Some Zootopian citizens are only 3 inches tall, like the mice in Little Rodentia, and they have to safely interact with animals like giraffes and elephants that can be up to 25 feet tall and weigh thousands of pounds. What went into making the movie? R.M. : A lot of hard work and long hours go into making an animated film at the Walt Disney Animation Studios. But more importantly, so does a lot of laughter. When you are making an animated comedy like Zootopia or Wreck-It Ralph, the crew spends a lot of time making each other laugh in order to figure out what will entertain our audience. How did you come up with the look of the city of Zootopia? B.H. : Zootopia was designed to feel like an enormous international city. We visited and studied cities from all over the world. You’ll look at Zootopia and you’ll see the influence of super-modern Asian architecture like you find in Hong Kong and Shanghai, and right next door you’ll see strong European influences from Paris, Munich and Barcelona. Any particular inspiration for the characters? B.H. : Judy Hopps is a young rabbit from the country that wants to make a difference in the world. She was strongly influenced by Superman. Like Clark Kent, Judy believes in the goodness of the world and wants to help protect it. Nick Wilde, our charming, cynical fox, was influenced by classic scoundrel characters, like Han Solo. Did the character designs change much from conception to the final look in the film? B.H. : At one point we considered making Nick a larger predator, but them both being small mammals made sense because they feel more like underdogs. Also, it is amazing to see a few loose sketches of the characters from years ago that have evolved into the beautiful, fully realized characters you see on screen. We work with the best artists in the world, and you can see that in every frame of Zootopia. Finally, Rich, you also worked on Wreck-It Ralph. Any plans for a sequel? R.M. : We would love to do more with the characters from Wreck-It Ralph! I mean, come on, there’s still lots of things left for Ralph to wreck in his world. Wreck it Ralph was just a fun movie to watch. A sequel would be great!